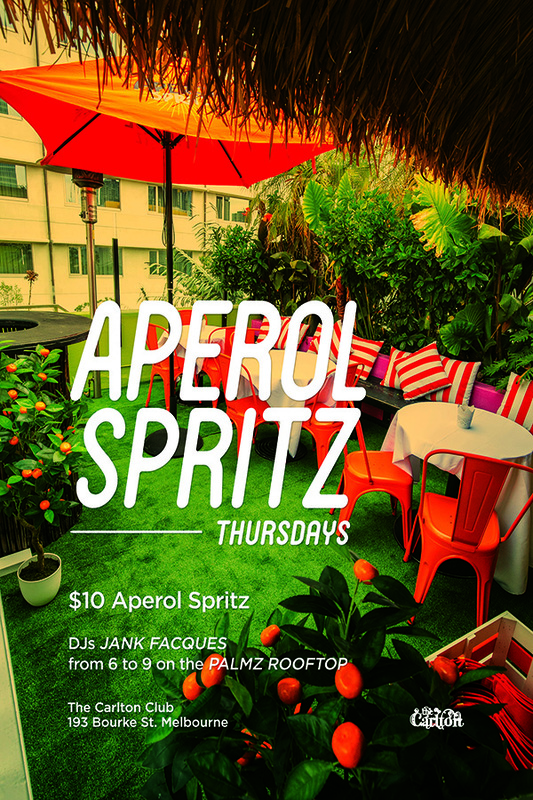 The Palmz Rooftop at the Carlton Club has been taken over by Aperol. Nestled amongst the palm trees you’ll find a retreat for after work drinks or pre and post tennis hangs. Thursday will be the new Friday with music from the terrific twosome of Jank Facques and $10 Aperol Spritz to keep the night going. Our Aperol Spritz pop up bar is open to the public for free. But if you’d like the place for you and your friends it’s available for prepaid bookings 7 days a week until the 11th of February.